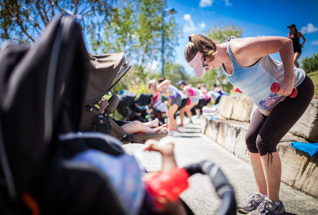 Our exercise programs target the physiological effects and weaknesses caused by pregnancy and childbirth. 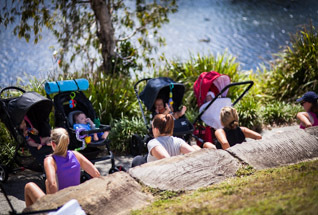 Mummylicious helps make nature your gym and baby's playground. 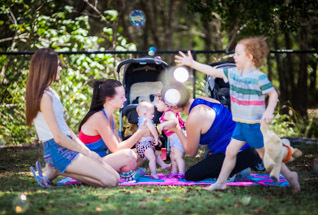 The small group format lets you spend quality time with your baby in the company of other great mums. 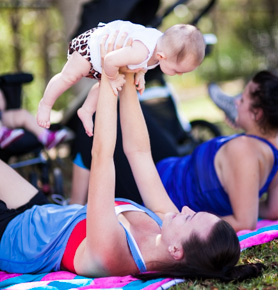 Baby Friendly & Flexible Fitness! Baby will be entertained by songs, visual stimulation and fun activities in the workout. You'll also get that necessary bonding time crucial to their development. 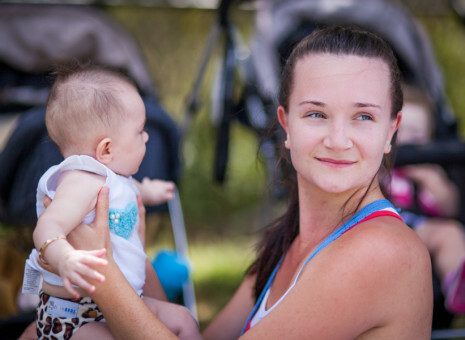 With multiple locations across the Gold Coast, you're never far from one of our sessions. Come along, join in, and feel great. 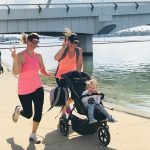 NEW Mums on the Run 8 Week Program! 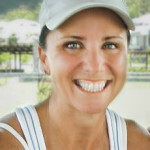 Our Learn to Run Program is a weight loss / cardio building / hormone balancing running program designed for busy mums. The program will take you from walking to jogging, easing you in gradually and safely, using a proven walk/run interval progression that will reduce the chance of joint or muscle injury so that you can really enjoy your runs and achieve 5 km with a smile on your face. . 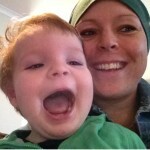 I started Mummylicious in April 2010. 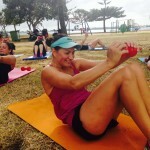 I love coming to mummylicious, mostly for the exercise which is always different and heaps of fun, and a great workout which you feel the next day. BUT most of all I love the catch up with friends each week, and the meeting of all the lovely new mummies that join us.